CPL - Programs & Events - Speaker Series - High Meadows School, Inc. The Center for Progressive Learning designs authentic opportunities to promote progressive learning for parents and professionals though many different programs and events. Our Speaker Series and Film Screenings provide a unique lens through which to view progressive education from the point of view of well-known and experienced experts in education and child development. To be announced as available. Alan November has been a director of an alternative high school, computer coordinator, technology consultant, and university lecturer. He has helped schools, governments, and industry leaders improve the quality of education through technology. His areas of expertise include planning across curriculum, staff development, new school design, community building, and leadership development. November was named one of the nation’s 15 most influential thinkers of the decade by Technology and Learning Magazine and, in 2001, was listed as one of eight educators to provide leadership into the future by the Eisenhower National Clearinghouse. 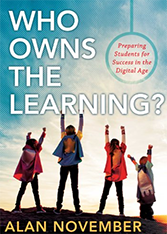 His writing includes numerous articles and best-selling books, including his most recent book, Who Owns the Learning? 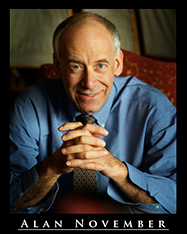 He was co-founder of the Stanford Institute for Educational Leadership Through Technology. November is most proud of being selected as one of the original five national Christa McAuliffe Educators. Through exploring the developmental span of childhood we will learn how to be guides for our children’s journey. Learn more about the benefits of multiage classrooms and about the values of preserving childhood. Chip’s work over the past forty-five years has included being a classroom teacher, principal, parent educator, non-profit executive director, district administrator and educational consultant. Chip is best known for his book Yardsticks (4th edition, January 2018) and his advocacy in the field of child development. He is a co-founder of the Greenfield Center School and co-developer of Responsive Classroom, a K-8 professional development approach as well as co-developer of Leading Together: Strengthening the Adult Community of Schools. He is the father of two adult children and three grandchildren and lives in western Massachusetts. "How children see the world and how they think and act at school is affected by their developmental differences, but also by the family cultures and values they bring to the classroom." Ron Ritchhart, author of Making Thinking Visible and Creating Cultures of Thinking: The 8 Forces We Must Master to Truly Transform Our Schools, is a senior research associate at Harvard Project Zero. Join us for this free event to hear how to combine the key ideas of what it means to be a culture of thinking, how we create this culture by emphasizing both parent and teacher roles, and how families can support their child’s development. Join us for this free event designed to help educators and families understand the role schools play in addressing social justice issues with students. Progressive education prepares students for active participation in a democratic society, including support for children to develop a sense of social justice. Come learn from our panel of experts why this is important and how it can be accomplished. Andrew Aydin – Co-author of the graphic novel series March which gives a vivid first-hand account of U.S. Representative John Lewis’ lifelong struggle for civil and human rights. Mr. Aydin serves as Digital Director & Policy Advisor to Congressman Lewis in Washington, D.C. A graduate of Trinity College in Hartford and Georgetown University in Washington, Andrew wrote his master’s thesis on the history and impact of Martin Luther King & The Montgomery Story. The best-selling graphic novels March: Book One, March: Book Two, and March: Book Three are taught in middle schools, high schools, and colleges across the country. Tiffany Green-Abdullah M.Ed, PMP - Manager of Learning Community Development at Georgia State University's Center for Excellence in Teaching and Learning where she curates innovative and culturally responsive learning communities and reduces silos within the university and acts as a bridge to community to engage with GSU. Tiffany developed Teaching for Social Justice & Democracy Speaker Series, which focuses on instructional strategies for faculty to incorporate social justice themes into various subject areas successfully. Tiffany wrote and received a grant from APLU to study Social Justice and Student Success at GSU in partnership with the College of Education and Human Development and the Southern Education Foundation. Tiffany is also the advisor to PantherHackers, a 400+ student organization focused on creative problem solving using technology. Tiffany is a co-founder and board chair of The Community Academy for Architecture and Design, a developing K-12 charter school in DeKalb County. Brian Anthony Williams, PhD - Director of the Alonzo A Crim Center for Urban Educational Excellence and a Clinical Professor in the Department of Early Childhood and Elementary Education in the College of Education & Human Development at Georgia State Education in Atlanta, Georgia. With over 20 years of experience working in schools and other educational communities around the world, Dr. Williams’ work is situated at the intersection of science education, urban education, and education for social justice. More specifically, he is interested in the ways in which equity issues related to race, ethnicity, culture, and class influence science teaching and learning and access to science literacy. Roberta Price Gardner, PhD - Clinical Assistant Professor in the College of Education & Human Development’s Department of Early Childhood and Elementary Education at Georgia State University. She received her doctorate from the University of Georgia in language and literacy education. Her literacy research focuses on high-needs communities of color, and highlights lived experience phenomena, issues of identity, critical perspectives on children’s and young adult literature, and creative and transformative literacy pedagogies in school-family-communal contexts. 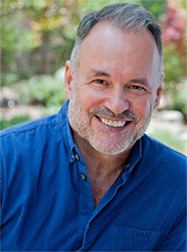 Jay Underwood – Head of High Meadows School in Roswell, Georgia. Jay has led diversity initiatives in three different independent schools and in regional school associations. His activities have included facilitating diversity cohorts for teachers, establishing a scholarship program for Native American students, and serving as an advisor to schools who look to welcome transgender students. A graduate of Guilford College and Rutgers University, Jay recently earned a fellowship to study social justice in independent education at Columbia University alongside 20 other school heads from around the world. Tara Vito – Lead Librarian at The Galloway School where she teaches human rights and service learning classes to middle school students. In her career, Tara has worked in many different types of schools (independent, public, charter and alternative) throughout New England and the southeast region. Tara holds a B.A. in Psychology from Rhode Island College as well as a Masters in Library and Information Services from the University of Rhode Island. She is a member of the American Library Association and serves on several roundtables for social awareness and activism in libraries. She is the current Chair of the American Library Association GLBTRT Reviews Committee and is the Program Coordinator for Georgia Independent School Library Association. She is also a member of the Young Adult Library Services Association, Association of School Librarians and Foster Care Alumni of America. Watch for upcoming opportunities to continue this important conversation about race. 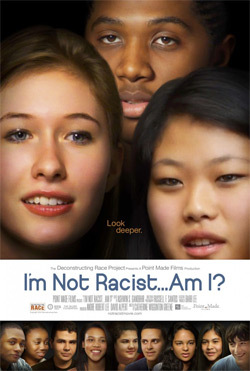 We invite you to attend a free film screening of I'm Not Racist...Am I? A post-screening discussion facilitated by a member of the filmmaking team will allow for viewers to engage actively with the subject matter and with one another through respectful dialogues. 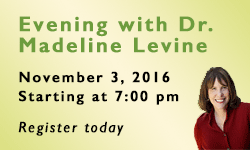 Dr. Madeline Levine will visit the Center on November 3 at 7:00 p.m. to speak about preparing children for success in the 21st Century. She will have an Q &A at the end of her presentation as well as a book signing. Books will be available for purchase before and after the event. 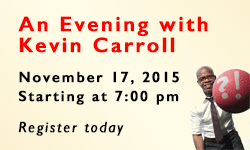 Renowned speaker and author Kevin Carroll will speak about embracing our spirit of play and creativity to maximize human potential and sustain more meaningful personal and organizational growth. An agent for social change, Mr. Carroll, is the founder of Kevin Carroll Katalyst/LLC and the author of three highly successful books: Rules of the Red Rubber Ball, What's Your Red Rubber Ball?! and The Red Rubber Ball at Work, published by ESPN, Disney Press and McGraw-Hill.